Sophie Jackson is a dog lover and trainer living in the UK. She competes in agility and obedience with her four dogs. Have you ever run your hand down your dog's front legs and noticed that there is an extra digit on the side? This is his dewclaw, an additional digit sitting a short way up from his paw. At first glance it appears strange to have a claw so far up the leg—surely it cannot be functional? In fact, it is not just a claw—beneath the surface is an entire toe with fully articulated bones, muscles and nerves. If you look at a drawing of a dog's foot, it is plain to see how the dewclaw really is a fifth toe. 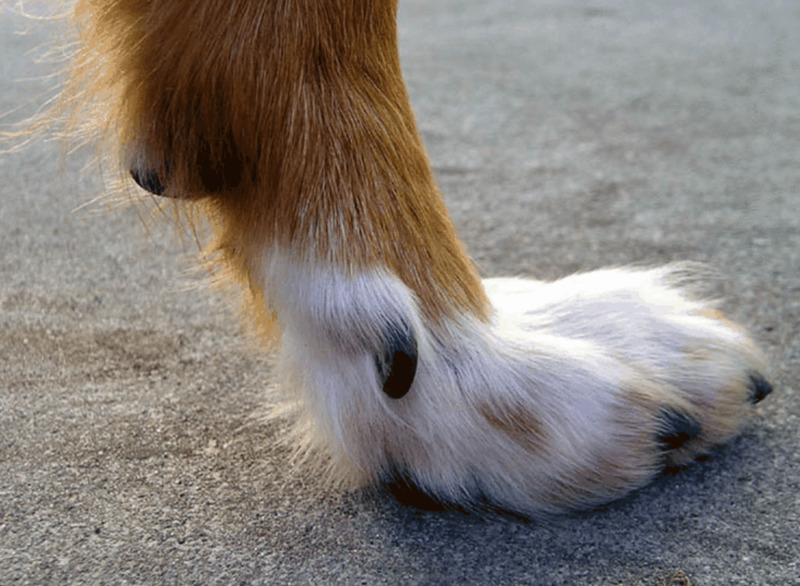 Many people have, unfortunately, looked at a dog's dewclaws and assumed they serve no purpose because when a dog is standing or walking, the claw does not touch the ground. They have been called a useless leftover from when dog's descended from wolves, but nothing could be further from the truth. Your dog's dewclaw is remarkably flexible and nimble. They will use it to brace a meaty bone or toy as they chew it, or even use it to delicately rub away annoying eye gunk. But, most importantly, your dog will use his dewclaw when running at full speed and making a turn or jump. When your dog is running fast, they land lower on their forelimbs, meaning more of the leg comes into contact with the ground, including that dewclaw. Most people will never notice this because it is hard to see with the naked eye, but numerous photographs of dogs running have shown just how much more of the leg the dog uses when galloping or jumping. It can actually look very peculiar! When your dog is rushing about that dewclaw acts as a stabiliser. When he makes a sharp turn, the claw will splay out and help him to spin. It also takes the pressure off the turn for the other toes; without that claw, dogs running at speed can dislocate or damage their toes, or cause injuries to the wrist joint. This is also the reason dewclaws sometimes get ripped and people have them removed. They think they are helping their dog to avoid further injury, but many vets are now stating that it actually does the opposite and could lead to long-term problems. There are a number of reasons why people opt to have the dewclaws on their dogs removed. Many genuinely believe it is in the dog's best interest to live their life without them. Breeders will have puppies' dewclaws removed when they are just a few days old. Depending on the breed and the country the dog is bred in, this may be more or less common. For instance, in the US it is a very common practice, while in the UK it tends to only be performed on certain breeds. Some breeders remove dewclaws because they feel it improves the appearance of the dog for the show ring. In the UK, the Kennel Club states that it does not support the removal of dewclaws for cosmetic purposes and no UK breed standard requires this. However, it is not illegal. 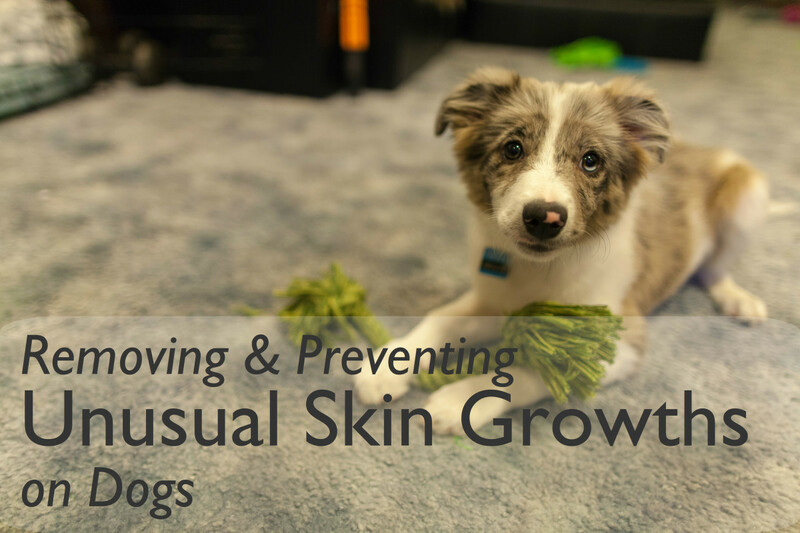 Removing dewclaws for cosmetic reasons is certainly not justifiable, especially as it is likely to cause complications in the future. 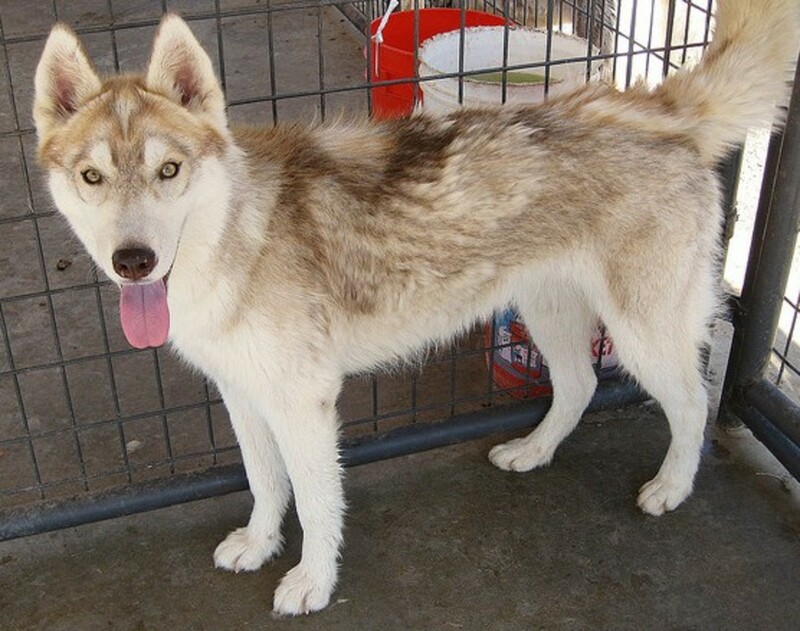 Other breeders will remove dewclaws because they believe it will prevent the dog suffering injuries in later life. This is understandable, but not accurate. Dogs do suffer dewclaw injuries, but that is because they use them and therefore need them. Occasionally an adult dog will irreparably damage a dewclaw and have to have it removed, but the majority of dogs with dewclaws will go all their life without any problem. The amount of dewclaws that require removal by vets, does not justify removing a useful and important part of your dog's anatomy. Some argue that the removal of dewclaws should be done to prevent the claws becoming overgrown. 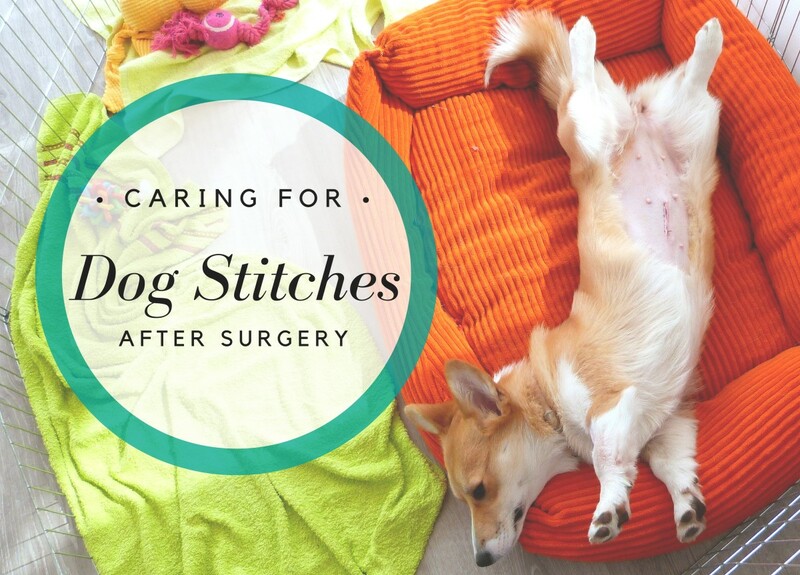 They state that they see too many owners who fail to clip their dog's claws and allow them to grow into the leg. It seems cruel on a dog to remove something because a human being is neglectful! In any case, most properly exercised dogs will naturally wear down their dewclaws, some will even chew their claws to keep them short. 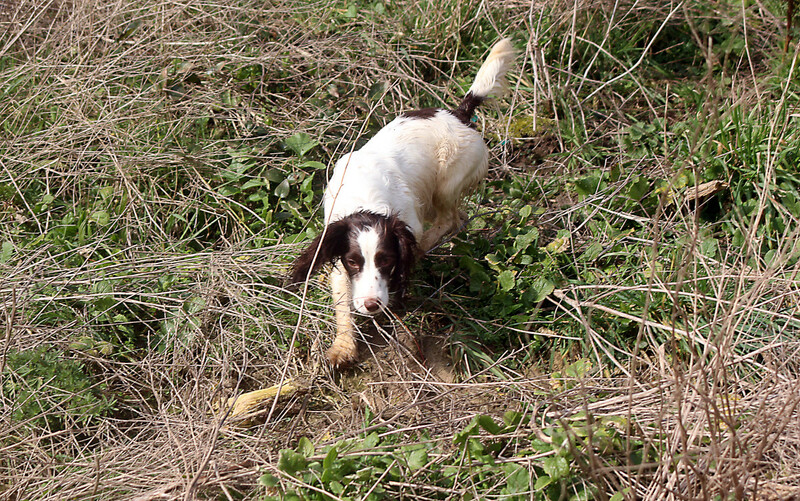 If a dog does not have the opportunity to wear down the claw, either due to age, lifestyle or conformation, then the claw should be regularly clipped. All these reasons for removing dewclaws rely on one argument - that the dewclaw is unnecessary. Once you realise this is not the case, then removing them no longer makes sense. 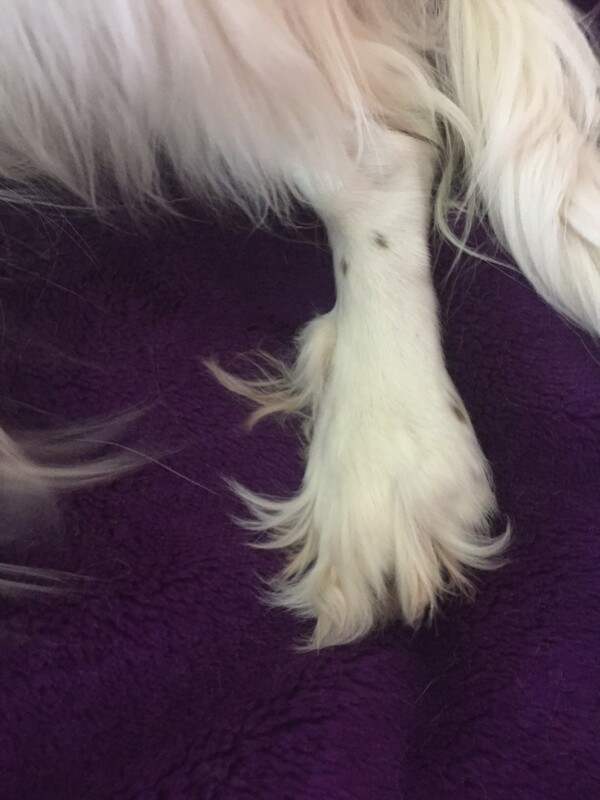 All the arguments for taking off the dewclaw (aside from cosmetic appearance) could apply to any of a dog's toes, but most people would not remove a toe from a puppy to prevent injury or to avoid the claw growing long, because they know how important they are. One last thing to bear in mind, when puppies have their dewclaws removed, if the puppy has not yet opened its eyes, then this can be done without anaesthetic. There is a false belief that puppies at this age do not feel pain as their nerve endings are not all formed. This is inaccurate. The procedure is painful, especially as it is necessary to cut through bone. Let's take a closer look at the function of a dewclaw. 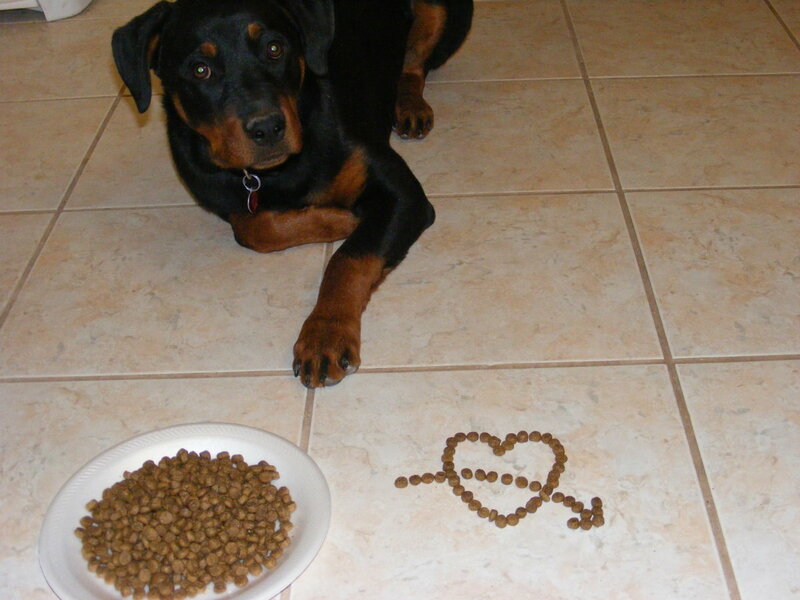 While dogs vary in how much they use them, they certainly play a part in their lives. The dewclaw has been described as a dog's thumb and can be amazingly flexible. Probably the most obvious way you will see your dog use his dewclaw is when he is trying to control a bone or toy, or other object, that he wants to chomp on. Paws alone aren't great for holding items, especially if they are round or uneven. That dewclaw, however, can be spread out from the foot and latch on to the object, dig in and hold it. Some dogs can use their dewclaws with remarkable dexterity. They will employ them to rub sleep from their eyes, or scratch the inside of an ear. They might even use them to clean their teeth. You may even find your dog will hold onto your arm with their dewclaw when trying to get your attention. Climbing is another thing that the dewclaw is vital for. Certain breeds are renowned for their cat-like ability to climb, but all dogs have the capability and can employ their dewclaws in the process. This might be climbing up a tree stump after a squirrel, or scaling a fence. I once watched my Labrador use his dewclaws as he climbed an A-frame. 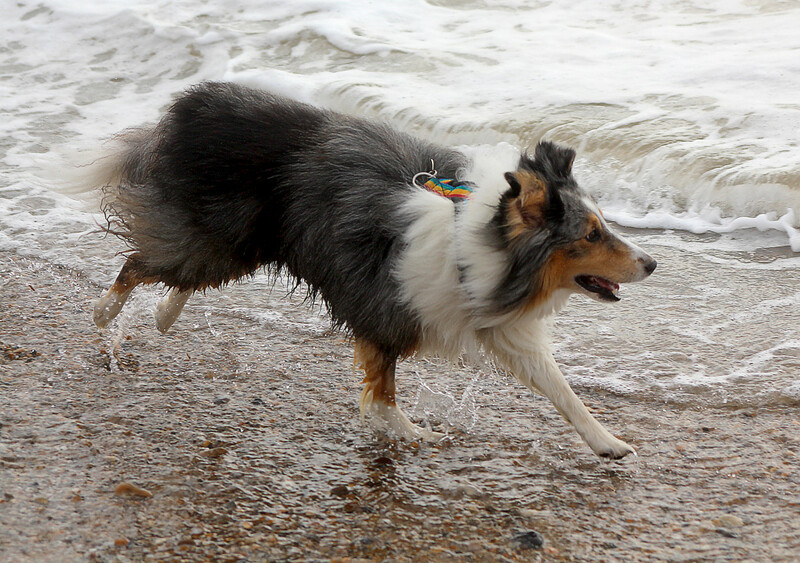 When your dog runs fast he uses his dewclaws to reduce the torque, or twisting action, that will occur with speed. The dewclaw acts as a stabiliser and stops the other ligaments in the dog's wrist from being overworked. 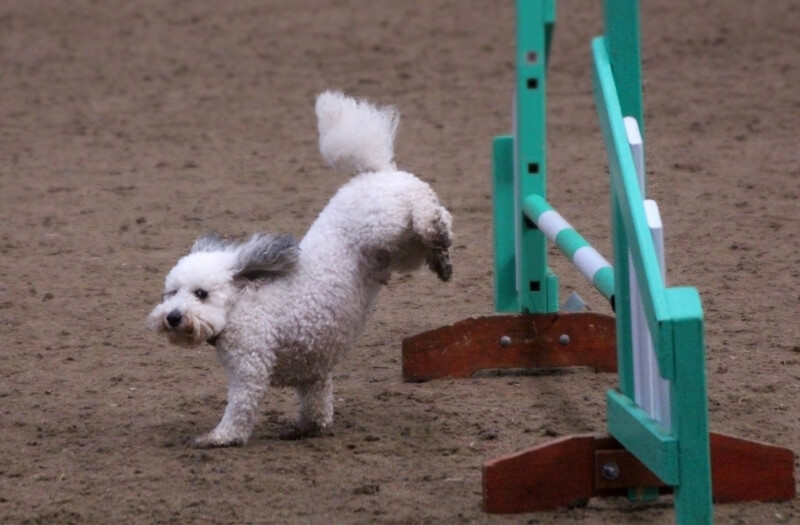 Dogs that do agility or flyball will use their dewclaws heavily as they make turns and dig in for more speed. Racing greyhounds also use their dewclaws as they corner and their dewclaws can be extremely big and sturdy. Dewclaw injuries are the main reason people give for having them removed as puppies. As mentioned above, with the amount of use dewclaws get it is not surprising they occasionally get damaged - just like our fingernails get ripped off or torn when we use our hands for manual work. One of the main reasons dewclaws become prone to damage is when they are allowed to get too long and then snag on something, such as a fluffy carpet. The same applies to all the claws on your dog's feet and you should regularly inspect them and trim them as necessary. If you don't like using doggy toenail clippers, you could try using a toenail grinder, a number of which are available on the market. You can also try teaching your dog to scratch at a piece of sandpaper around a wooden block. This trick will have to be played often to be effective! However, most active dogs will wear their claws down by themselves, simply from running about and using them. From time-to-time a dog will prove prone to ripping their dewclaws even though they are trimmed. As with everything in life, accidents happen, and some dogs do have issues with their dewclaws. This could be due to weak nails or the dewclaw being malformed. Equally, when a dewclaw has been damaged, it will sometimes grow back wrong and be more likely to snag again. The key is to keep an eye on the claw, keep it trimmed and watch for any early signs of damage. If it does rip or break, you'll need to take care as it regrows to make sure it comes back straight. Dewclaw injuries can appear dramatic, as the ripped claw does bleed well, but they are easy to treat. Make sure to clean the wound and keep the area bandaged. The biggest problem for these injuries is an infection in the nail bed. 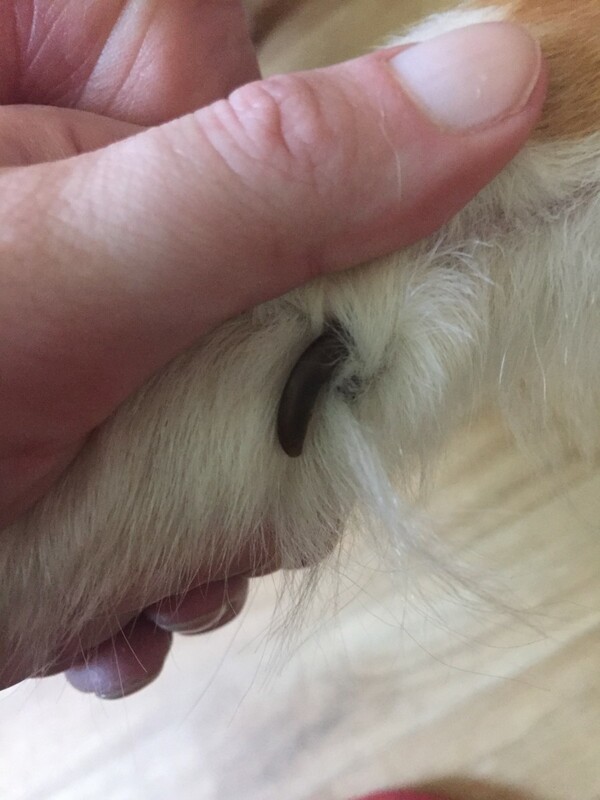 This can occur to any of your dog's nails, for that matter your dog can split any of its toenails and potentially have to have that claw removed. If the nail bed does become infected, you need to see a vet and get antibiotics. In a few rare cases, a dog may so badly damaged its dewclaw that it becomes necessary to remove it completely. This is far from common. 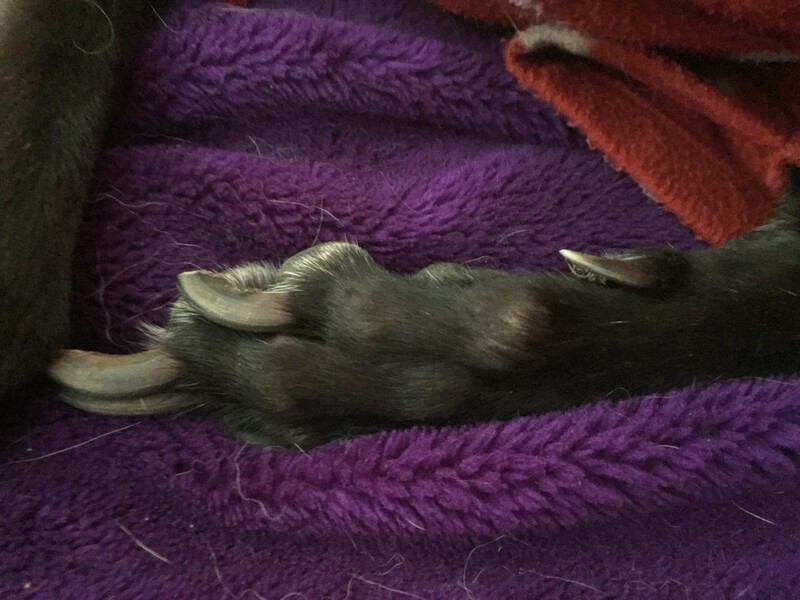 In fact, I only know one dog that had to have its dewclaws removed as an adult, but I know of two dogs that had to have toes removed due to chronic injury and infection. 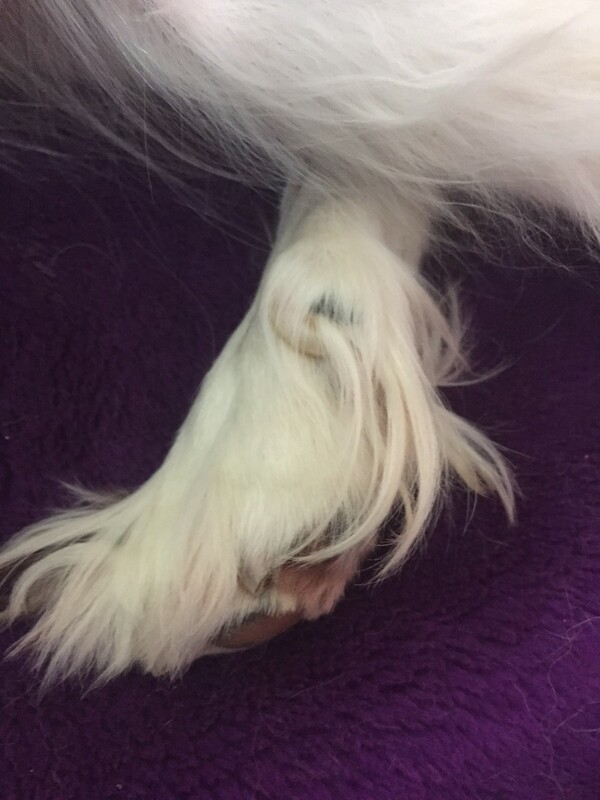 The dewclaw is not unusual for injury, any toe can be injured! Dewclaw injuries are annoying, maybe even frustrating, but they will usually heal in time and leave your dog able to live a normal life. There is growing evidence, however, that the lack of dewclaws could lead to problems that could impair your dog's long-term well-being. Veterinarian Chris Zink noted nearly fifteen years ago that there appeared to be a causal link between arthritis in the wrist of the dog and the lack of a dewclaw. Chris had found that arthritis was more common in dogs without dewclaws. 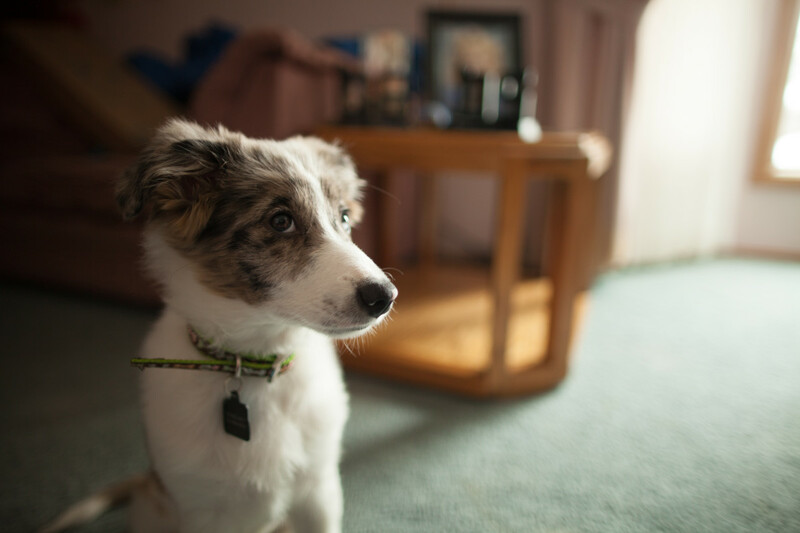 The Australian Shepherd Health and Genetics Institute concurs with this opinion and specifically state that the removal of dewclaws leads to an increased risk of arthritis in later life. 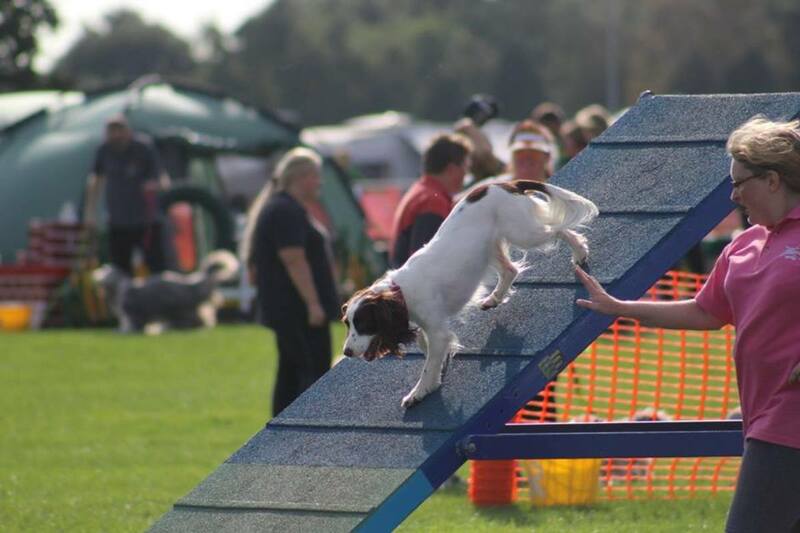 "I have seen many dogs now, especially field trial/hunt test and agility dogs, that have had chronic carpal arthritis, frequently so severe that they have to be retired or at least carefully managed for the rest of their careers. Of the over 30 dogs I have seen with carpal arthritis, only one has had dewclaws. 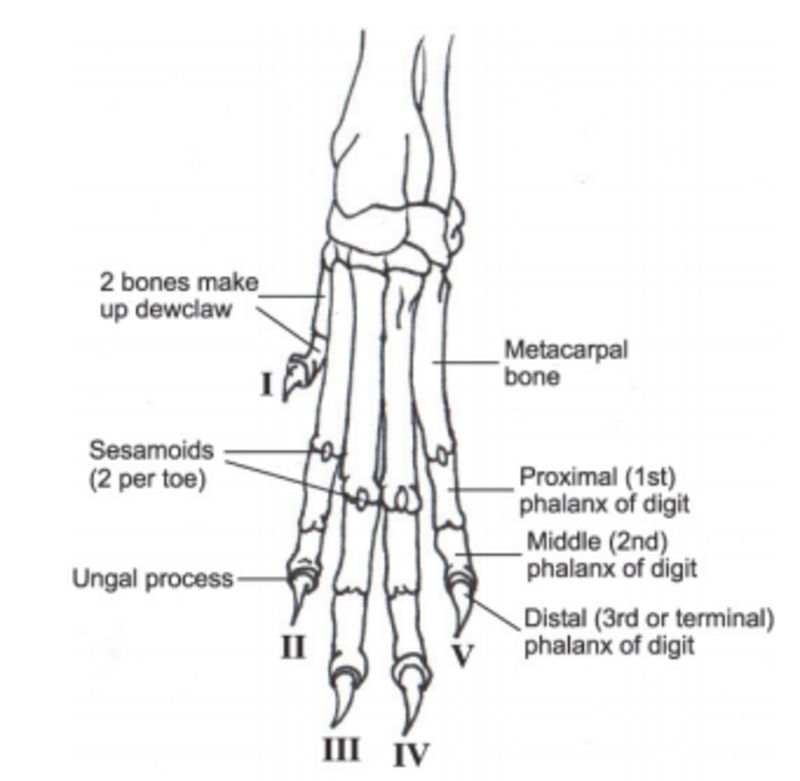 If you look at an anatomy book, you will see that there are 5 tendons attached to the dewclaw. Of course, at the other end of a tendon is a muscle, and that means that if you cut off the dew claws, there are 5 muscle bundles that will become atrophied from disuse. Those muscles indicate that the dewclaws have a function. That function is to prevent torque on the leg. If the dog then needs to turn, the dewclaw digs into the ground to support the lower leg and prevent torque. If the dog doesn't have a dewclaw, the leg twists. A lifetime of that and the result can be carpal arthritis, or perhaps injuries to other joints, such as the elbow, shoulder and toes." 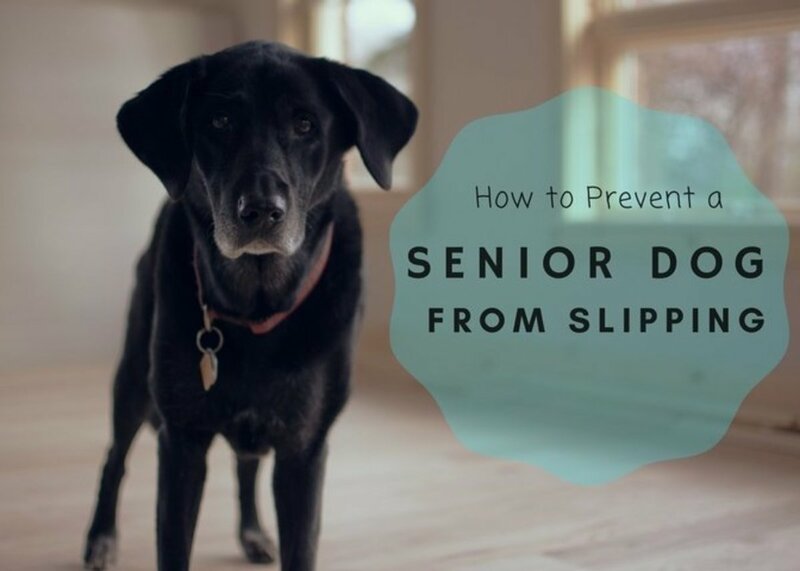 Simply put, in an effort to prevent a short-term injury, the risk of a dog developing a long-term, debilitating problem is significantly increased. This is especially true if your dog is a canine athlete competing in a high energy sport. This article is mainly about front dewclaws, which most dogs are born with. Some dogs are also born with rear dewclaws. 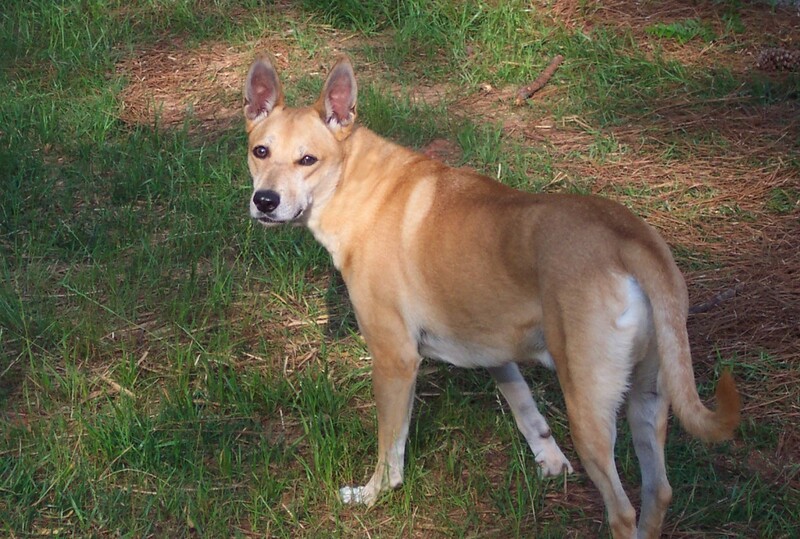 Rear dewclaws appear to be exclusive to the domestic dog, while wolves and many wild dog breeds have front dewclaws, they do not have rear dewclaws. Rear dewclaws are called 'vestigial' meaning they are something that once had a function, but no longer do and are gradually disappearing. That is why most rear dewclaws have no bone and are just fleshy protrusions with a claw attached. These dewclaws are often loose, as they have no bone, and can easily become caught. They do not serve a purpose and are usually removed to avoid injury. However, I would suggest this is always done under an anaesthetic as cutting through flesh is still painful. Some dogs have bone in their rear dewclaws, in fact, my spaniel does. In this case the claws are likely to be tight to the leg and are unlikely to cause a problem. 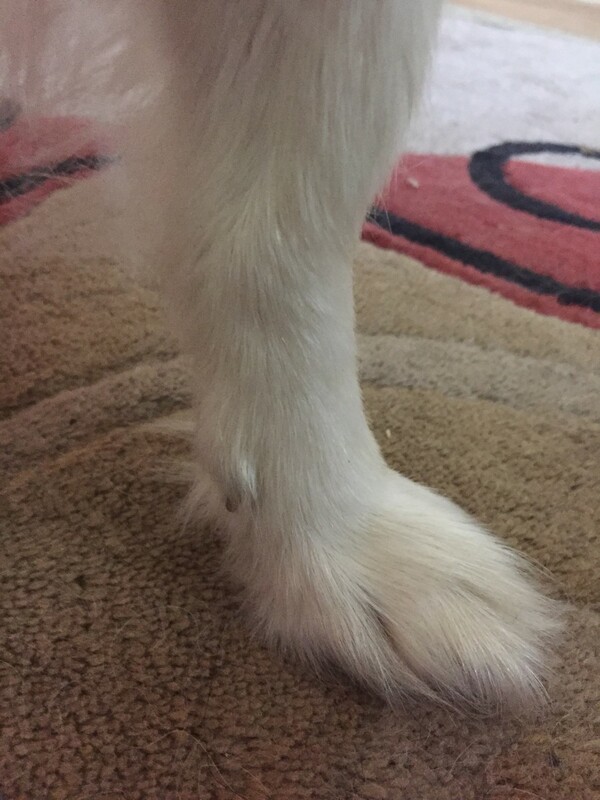 I have opted not to have my spaniel's rear dewclaws removed as they are so clearly attached and contain bone. At nearly 5 years old, she has never damaged them. However, rear dewclaws are not used like front dewclaws and must be regularly trimmed to keep them from growing into the pad of the toe or leg. In certain breeds, double rear dewclaws are considered desirable. They are not functional, but are seen as a characteristic of the breed. I hope this article has clarified the purpose of your dog's dewclaws and why they are an important part of their anatomy. They are very misunderstood, but can do such amazing things, along with being a vital support for the leg in general. The next time your dog has a bone or runs around, try to see that claw in action. It truly is a fantastic element of canine design! Why Do Dogs Have Dewclaws?